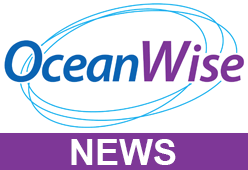 OceanWise will be showcasing the latest developments in its Environmental Data Sharing and Publishing ‘Port-Log’ services, provided to ports, harbours and coastal authorities around the world, at Oceanology International 2018 exhibition on 13-15 March at the Excel Centre, London. Port-Log ‘Connect’ has been developed in association with Associated British Ports (ABP), Peel Ports Group, numerous VTS, PPU, weather forecast, dredging and even tunnelling software providers and integrates data from multiple sources and makes it readily available in critical and non-critical applications. We look forward to meeting you on stand P161 to learn more about ‘why your data really matters!’.